SuperValu has remained top of the league when it comes to share of the Irish grocery retailer market. The latest supermarket share figures from Kantar Worldpanel in Ireland, published today for the 12 weeks ending 6 December, show that SuperValu remains Ireland’s largest grocery retailer as Christmas approaches. 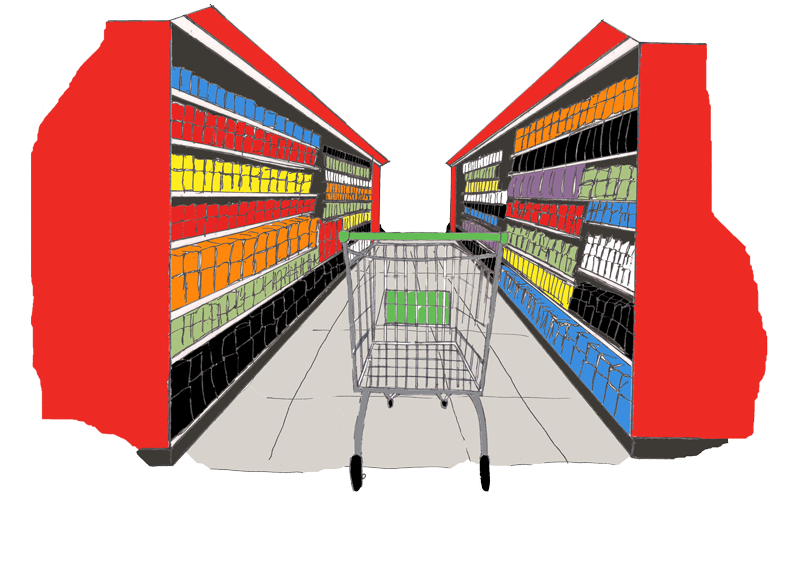 This is a critical time for supermarkets in the run-up to the busiest time of the year. The latest supermarket share figures from Kantar Worldpanel in Ireland, published today for the 12 weeks ending 6 December, show that SuperValu remains Ireland’s largest grocery retailer as Christmas approaches. According to payments technology company Visa Europe, tomorrow, Wednesday the 23rd of December is set to be the busiest in-store shopping day this Christmas. Visa Europe based its predictions on up-to-the-minute spending data and Christmas spending trends from previous years. Conor Langford, Ireland Country Manager at Visa Europe, said; "Irish retailers will benefit from a last minute rush of shoppers who still have gifts and groceries to purchase for Christmas. Retail trade is expected to be up by three to five per cent this Christmas, according to a new survey. Retail Excellence Ireland, the group representing retailers, said the poor weather in recent weeks has “very negatively impacted” on-street retail across the State, but that shopping centre retail has been “less affected”. Retailers are predicting a bumper spend by consumers this Christmas, which is expected to be the biggest since before the economic crash in 2008. Consumers are hitting the streets in their droves, and splashing the cash, according to Retail Ireland, which says this will be the best-performing Christmas in seven years for shops. Retail Excellence Ireland (REI) estimates that sales will be up 5pc compared with this time last year. Dublin in particular has seen a boost in retail across the board - while outside the capital footfall is said to be down a little. The survey was carried among 1,109 Irish adults to find out about last minute Christmas shopping and why some people leave their present-buying until the last minute. Business nationwide are anticipating a busy run-in to Christmas as shoppers rush to get last minute gifts for family and friends. Earlier this month, Retail Ireland predicted that Irish households will spend €2,450 on average in December, which represents a €600 increase on the average monthly spend. After eight years of penny-pinching, consumers have finally found the confidence this Christmas to splash out on ‘big ticket’ items, Retail Ireland has confirmed. Retail bodies are predicting that by Christmas Day, shops will have seen an average increase in trade of anywhere between 3% and 5%, and it is the high-priced items that are seeing the greatest resurgence. A new survey shows there is a sharp divide in Christmas shopping between Dublin and the rest of the country, with strong trade in the capital but weak business in provincial stores. Retail Excellence Ireland predicts Christmas trade will be up by between 3% and 5% on last year, meaning the best Christmas for shops in eight years. However, businesses outside Dublin still face challenging conditions. Early internet delivery deadlines are losing e-commerce companies thousands of potential orders, according to international delivery expert ParcelHero. Many small traders and even some major stores such as Liberty gave customers the deadline of 16 December as the last date to guarantee a delivery in time for Christmas Day. The IFA maintains that by buying Irish you’ll help to support your local economy and to sustain the 300,000 jobs connected to farming and food in Ireland. Irish consumers will consume 950,000 turkeys this festive season. Approximately 326,000 turkeys will be imported to Ireland for the Christmas market, supplying the wholesale and butcher markets. Before you get in the car, check our handy guide to make sure you don't get left out in the cold when you head to the supermarket this Christmas. Supermarkets across the country have very similar seasonal offerings. It’s impossible to choose just from the packaging which will be the tastiest and the best value for money, so to help with the choice, my family volunteered to do a blind taste test. If you hit the shops to pick up the last few bits and pieces in Donegal today, you'll be one of those contributing to a nationwide rise in retail trade this year. Trade is expected to be up by an estimated three to five percent this holiday season. Many Christmas shoppers will feel that stores have been in sale mode for weeks now, right back to Black Friday in November. And they are right. Gone are the days when the retailers held onto their full price stock until after stores closed on Christmas Eve and then unleashed their bargains on St Stephen's Day or later. The Competition and Consumer Protection Commission has said it is considering enforcement action against a number of retailers selling hoverboards. Speaking on RTE’s News at One, the commission's Director of Communications Fergal O'Leary said it is aware that there are hoverboards on sale that do not meet safety standards. More than one in five Irish consumers buy gluten-free products regardless of whether they are coeliac or not, according to the latest Consumer Insights study from Empathy Research. Marginally more females were of this opinion compared to males (23% v 18%), while under 35s are the more likely age category to consider buying gluten-free products without having a dietary requirement. Spar Great Ireland Run want runners to captain the All Ireland County Challenge - are you up for it? Spar Great Ireland Run are searching for 32 captains for the All Ireland County Challenge - do you have what it takes to lead your county to victory? The 2016 dash will take place on Sunday April 10 in the Phoenix Park in Dublin. Sunday 13th December marked the launch of junior parkrun Ireland, with the inaugural free run taking place at Kenure Woods in Rush, Co. Dublin, where over 160 children and many parents took part in the 2k. Dixons Carphone has reported a strong half year, with like-for-like revenue up five per cent. The firm gained market share across the UK & Ireland, Nordics, Greece and Spain, and group chief executive Sebastian James revealed the group’s new 4G mobile network, iD, has hit a milestone of 200,000 subscribers to date. Insomnia, an Irish-owned coffee chain, has struck a deal with Primark to locate cafes in the fashion retailer’s stores, writes Gavin Daly. The companies launched a partnership in recent weeks, with Insomnia outlets now open in the retailer’s Penneys stores in Waterford, Athlone and Swords in Dublin. International clothes retailer Superdry has backed down and reinstated the famous sign over the former Moderne store it now occupies on Cork’s main shopping street. Mandate Trade Union has said that conditions for Dunnes Stores workers have 'improved' in recent months, adding, however, that the company still 'hasn’t guaranteed staff the hours they work on a regular basis'. Lidl Ireland has been warned by the Advertising Authority of Ireland (ASAI) after it upheld a consumer complaint about a recent Lidl ad for 'Tasty Back To School Breakfast Ideas". Tills were ringing across Northern Ireland yesterday as thousands of shoppers hit the high street in the last weekend before Christmas. Retailers were reporting record numbers, with lucrative deals attracting savvy bargain hunters, and Belfast city centre experienced one of its busiest weekends of the year to date. Kildare Village is enjoying a surge in shoppers from mainland Britain and Northern Ireland, as the strong price of sterling plays into Irish retailers' hands in their key Christmas trading period. Oak Furniture Land is set to open its first store in Northern Ireland in south Belfast on Boxing Day with the creation of 15 new jobs.